Disclaimer: I may hit on some spoilers for some of the games but they are super light. If you don’t want to take the risk please exit the article. I’m going to come out guns blazing with my favorite world of Final Fantasy 8 (FF8). It was my first JRPG and the first game I was obsessed with. I’ve put well over 300hrs into the game over multiple play throughs and systems so I’m well versed in its lore. Most of the Final Fantasy games have immersive worlds and unique stories so you really can’t go wrong with any of them. ...FF8 and any of the other FF’s made me understand that world building is the key to loving a game for me. In the land of FF8, sorceresses, Guardian Forces, Gardens and science fiction go hand in hand. As the world trains emo teenagers to fight against sorceresses to ensure man kinds survival, players still have time to fall in love and discover the meaning of friendship. (read: Is that you Twilight Sparkle?) The graphics of the game were top notch at the time and balanced current tech with the old. It was fun, it was interesting and the over world theme is still in my head even now. 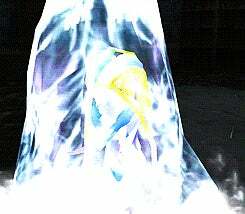 The first time I saw Shiva emerge from her ice crystal and perform her signature Diamond Dust attack took my breath away. Watching the opening cut scene of Seifer and Squall’s fight had me picking sides from the onset. Listening to the haunting sorceress’s theme invested me in the fight against the sorceresses starting with Edea. Even though this game gets flack for its convoluted battle system and the story at its end, FF8 and any of the other FF’s made me understand that world building is the key to loving a game for me. Who doesn’t like a good harem game involving Reyvateils that sing for your success and power in battle? I do! This games world took on various topics that could be relatable to the real world. For example Reyvateils, the protagonist women in question, were either revered for being powerful singers or ridiculed for not being a certain class that was strong enough to weave powerful songs. It could give a good commentary about how society works which was food for thought. The real draw of the game was “diving” into the psyches of my companions. The real draw of the game was “diving” into the psyches of my companions. This action helped the girls to overcome their biggest fears, unlock stronger songs, make them stronger people and endear them to the protagonist. And let’s not forget the fan service. Not too little and not too much in my opinion but it could be risque’. This game had a wonderful soundtrack and sprites that made it a truly beautiful experience to play through. In the same vein as Final Fantasy, the Tales series creates a different world with each iteration. The series has lost me a few times but got me back with this entry. Taking the role of Velvet Crowe, an angsty teen on a revenge kick, we got to see the world through the eyes of a villain. Watching Velvet transition and grow through the game helped to further immerse players in it’s world. It even garnered an emotional response from me that I haven’t had playing a game in a long time. Per usual the world is bright, colorful with a soundtrack that is top notch. The battle system is action based which is fun and a series staple. I think I loved this world because players got to see how it changed as you let everything go to hell and you were the cause. With Danganronpa V3 out last month, I’ve had to revisit this world recently. I’m not normally into these kinds of games but the game’s artistry when depicting acts of murder makes it hard to ignore or put down. Danganronpa is a series about a killing game that traps teenage “Ultimates” in its clutches. It’s cruel and unforgiving playing on the themes of hope versus despair. Your favorite characters could die at any point and their motivations for killing aren’t always malicious. Their deaths are illustrated in a beautiful way and solving their crimes involve unfolding clues like the layers of an onion. 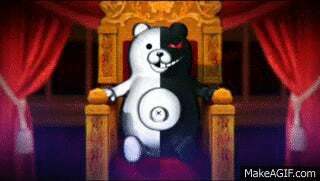 All the while a black and white bear named Monokuma with an ever present smile laughs with glee at your agony. Searching for clues to figure out the killer and participating in the class trials made me feel the weight of the death game. Their deaths are illustrated in a beautiful way and solving their crimes involve unfolding clues like the layers of an onion. Watching the anime last year, the conclusion of the first three Danganronpa games, damn near broke me after the one episode in the Despair Arc. Most of the time while watching the anime or playing the game I’m saying “no, no, no, no” in my head but the adventure is worth it. There are other games or anime I could talk about but I wanted to keep it brief. What are some of y’alls favorite world’s? Have you explored any of the ones I mentioned? Let me know in the comments below. In accordance with theme week TAYers don’t be shy and share your thoughts! You can find details about the theme week in this post by our loved and revered Zarnyx. We don’t bite and would love to read your experiences.